Posted: Thursday 25th June 2015 in Owned and earned media, Thought Leadership. The digital media revolution continues to be a converging beast of disciplines and mediums. The process challenges creative industries, businesses and brands alike. They have to evolve their traditional approaches to marketing communications toward leaner, faster and more measured solutions to ensure they engage customers in a meaningful way. While the general populace continues to embrace new web platforms and devices rapidly, some industries and businesses have been slower to shift their collective thinking. These shifts are creating some unlikely bed partners, with the likes of online retail and publishing set to converge and ultimately blend — creating new and exciting opportunities in the publishing industry. 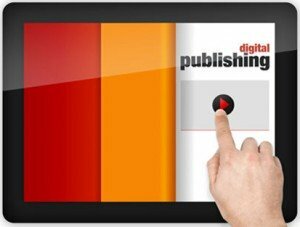 Publishing has been hit particularly hard by the digital revolution. Those who have survived within the news and magazine industry have embraced the convergence of all the digital mediums and channels, and therefore understand how their customers are consuming information. In a landscape of increasingly stiff competition they have adapted their strategy, to offer the most engaging content and user experience across multiple platforms. Importantly, this means that it can be shared socially – it’s all about joining the digital dots! For retailers, digital convergence is definitely a good thing, because where shops sell, magazines inspire – a blend of the two has to be good news for customers. But other than creating print catalogues, retailer’s mind sets are traditionally not in publishing and so spending money on generating content for wider consumption is seen as wasteful — after all during hard times the first thing a business cuts back on is advertising expenditure. A fantastic shopping experience is often accompanied by significant in-store experiences which lead to a path to purchase. For the customer, that journey is about discovery; the product, its purpose and the brand — customer engagement. With the convergence of online retail and publishing, there is a great opportunity for retailers to replicate that learning experience and inspirational journey online. They can help customers match the right products to their needs — giving them that great user experience. Where seasonality in the fashion world is a core business driver, customers naturally read fashion magazines in print or online to find inspiration for their wardrobe and educate themselves about the latest trends and designs. Surely in this context a blend of publishing and online retail makes sense. In the imagined ‘new world’ where online retail and publishing have already converged, customers enjoy an engaging shopping experience online where ecommerce is more than a pick list of items for the shopping cart. Instead, it has become an inspirational journey that is relevant and helps the customer to confidentially shop for the products they need. More eyeballs stare into more screens big and small now than at any other time — opticians will be making a small fortune! News and information have become real time and travels at breath-taking speeds propelled by social media users. Retailers need to capitalise on the insatiable appetite for information and plug it into ecommerce. In the post-Panda/Penguin era, where Google search has laid down its ‘algorithmic law’ declaring war on poor SEO practices and lazy content, producing quality original and rich content is the best way forward for both on-page SEO and inbound marketing activity. All too often content on ecommerce sites isn’t updated regularly. Sites also suffer from being too generic, which does not add value for the customer. Language can be dull getting either too technical or using sales lingo where it’s not needed, but more than anything, and somewhat ironically, imagery can be extremely poor — relying on a staple collection of standard product photography. Today’s audience have shorter attention spans. They are more likely to be stopped in our tracks by engaging photography, cool videos and interactivity rather than a block of scrolling text. The opportunity for online retailers through adopting publishing practices is to have more engaging websites giving customers even better shopping experiences. If retailers are able to embrace the ‘shift’ and think more like magazines they will reap the benefits of having an engaged customer. By putting more useful content throughout eCommerce sites, pages will rank better and retailers will receive more traffic and potentially be more profitable too.